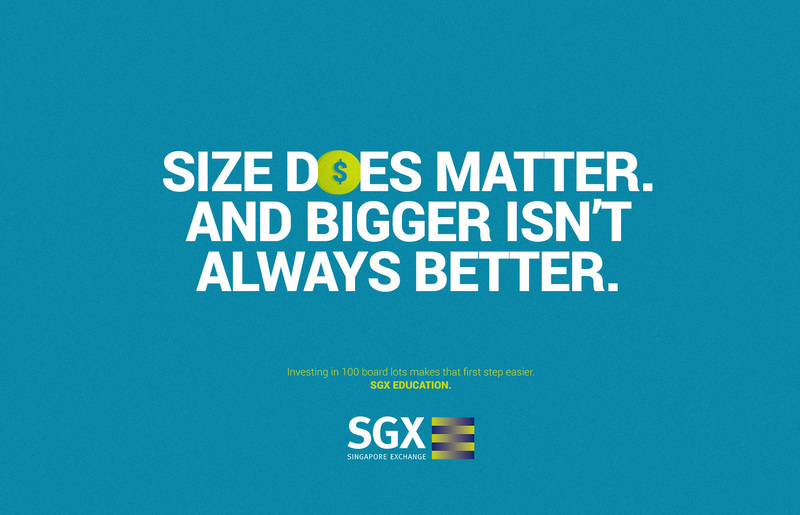 SGX is reducing the standard board lot size from 1,000 units to 100 units in January 2015. A smaller board lot size will benefit both prospective and existing investors. Stock investing is just like getting into a relationship. With the many existing misconceptions about the stock market, we wanted to talk to prospective investors about stock investing just like how your friend would guide you into that first relationship. 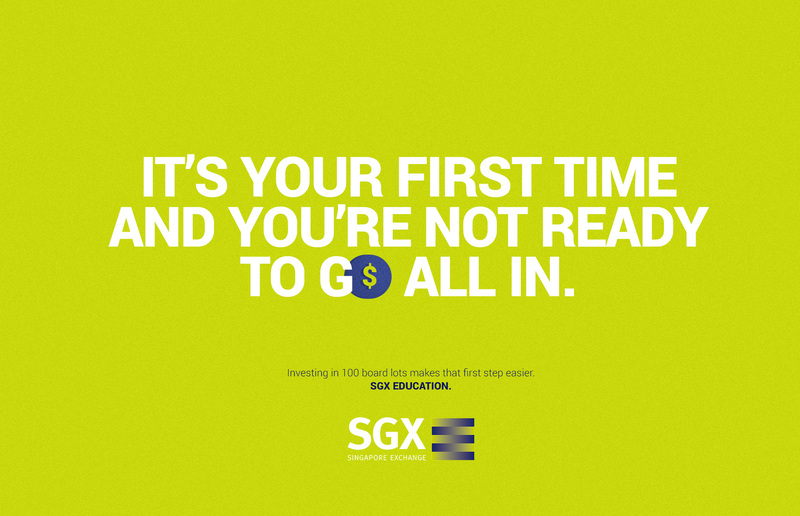 Short, provocative copy-driven ads that can double as relationship advice aimed to help ease prospective investors into stock investing. 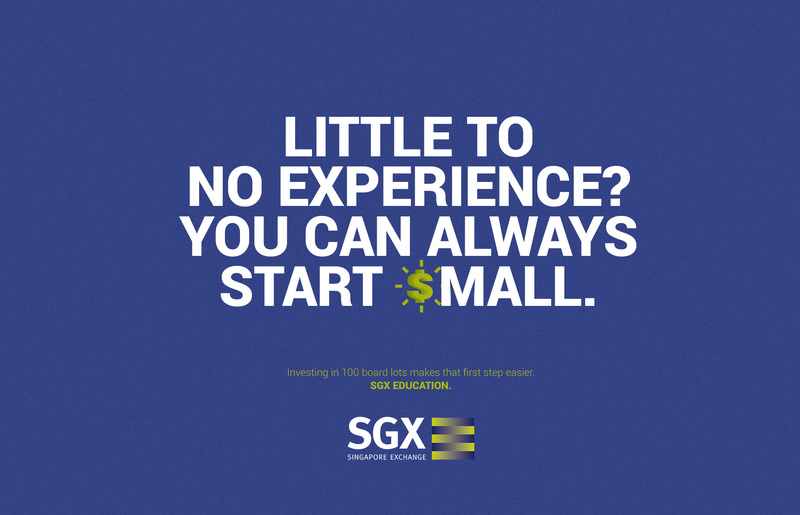 As SGX My Gateway is where the main pool of prospective investors congregrate, ads will be channelled to facebook to educate and guide them to take the first step into stock investing with SGX.